Everyone has values. Whether they're clearly articulated or tacitly underlying every action we take, our lives are defined by them. Ministries have values too. 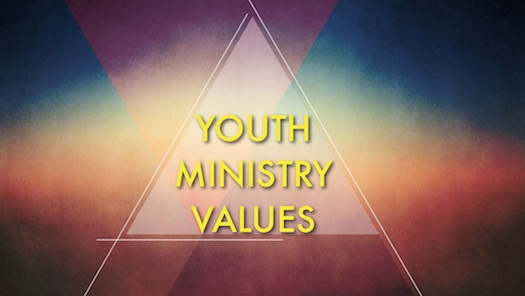 Two years ago, I created a set of ministry values that have stuck with me and my ministry. Some of them have been refined or matured, but all remain the core DNA and ethos of the ministry I want to embody. This blog series will unpack each value in the following way: where the value comes from, why it's important, and how it's practiced in my ministry. We're not interested in making awesome youth group kids--we want to make healthy, Godly adults with a robust Christian spirituality. This means seeing students that love God with heart, soul, mind, and strength years later as adults. Success is having relationships with students that last beyond a program, seeing them follow Jesus for decades, not just for the years they participated in youth group. I’ve shifted from parenting by control to parenting by facilitation. and by ‘facilitation’, I mean identifying and nurturing competencies. That idea has stuck with me. Leadership and ministry becomes less about getting young people under control, fitting an ideal set of behaviours or beliefs, or getting them to do the right Christian thing. It becomes about guiding them, training them, equipping them to embrace their God-given potential and unearth the good gifts and good work Christ has prepared for them (Ephesians 2:10). I've become tired of seeing teens who appeared to have a radical faith in high school completely bail on the church and their faith as they enter young adulthood. I don't want to make Godly 18-year-olds; I want to see Godly 80-year-olds, people who stick with their faith for the long haul, and invite others into relationship with them. Why it's important: If success is in the long-term, then the goals of youth ministry change. It becomes less "get teens to survive adolescence and graduate from high school" and more "facilitate the building of a solid spiritual and relational foundation for teens and give healthy tools for teens to make Godly and wise choices." This value is one that directly stems from how to think over what to think and whole disciples, whole church. How it's practiced: Instead of adult volunteer leaders coming and going each year (or every few months), we aim to find adult leaders who can stick with teens throughout the middle school and high school years. This looks like a three- to four-year commitment. In past ministries, we've also asked high school volunteer leaders to stay with their graduating grade 12 students and consider their first year in university to be another year of discipleship, having a "4+1" view on serving as a leader. We also want to facilitate competencies, so we look for ways to have students give and serve and explore their gifts and passions and callings. A great recent example: our church's children's ministry summer camp (aka VBS) was almost entirely run by people under the age of 21. 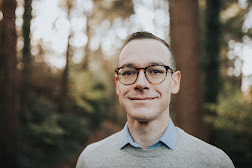 All of the small group leaders were between grades 8 through 12, and apart from four people on the team, it was planned and run by college-age students. Try calling these people "kids" or "children," viewing them as "irresponsible" or "immature." I talked with a grade 8 guy about his experience, and his favourite part was "being with my kids." What a beautiful confession of love, and a hopeful picture of his potential as he grows in his gifts for ministry. Questions to ask: How do we define success in our ministry? In our church? In what ways are we facilitating competencies in our young people? Does my language reflect my views--do I call teenagers and college students "kids" or "children"? When I look at the graduates of our youth ministry, what percentage are sticking with their faith long into adulthood, and why?